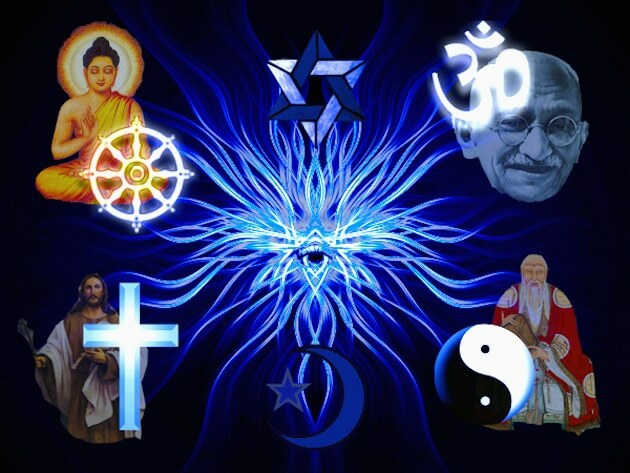 Note from Wes: A warning for some of you – this article is critical of the new age movement, concepts like the Ascended Masters, channeled enlightened extraterrestrials (Pleiadians, Sirians, etc.) and channeling in general. I’ll admit that I’ve wholeheartedly endorsed these concepts in the past, and I don’t intend to set myself apart from those of you who believe in them by posting this. This article definitely got my attention, however, and I think it’s worth a read for those of us who seriously want to enlighten ourselves as opposed to waiting for ascension, a channeled entity or anything else to do the job for us. I notice some, what the author calls ‘new age traps’, that I’ve fallen into before, and I’ll happily take the advice given here and transcend those traps. I definitely think we should be careful not to fall into any traps that are designed to usurp our power, and for what it’s worth, I think there’s something genuine to the act of communicating with/channeling the higher self – not an entity who exists outside of us and promises to ‘save’ us, but the higher facet of our consciousness who genuinely assists us via our intuition. Read with discernment, and if the concepts that are criticized here resonate with you, try not to let your feelings be hurt. We could all learn something from every opinion that’s tossed out there – from the most supportive to the most critical. “Those who fall off from our living human Mahatmas to fall into the Saptarishi – the Star Rishis, are no Theosophists.” Such were the words of H.P Blavatsky, the 19th century author and founder of Theosophy*. Throughout her writings, Blavatsky repeatedly emphasized that the “Masters of Wisdom” with whom she communicated were Tibetan and living human beings (she called them Mahatmas) and not the so-called “Ascended Masters” that the New Age movement champions. Upon examination of ancient teachings and spiritual texts around the world, one will never encounter the term, “Ascended Master”, not even once, anywhere. Neither Jesus, Buddha (note, the Bodhisattvas are not “ascended masters”) the Tao te Ching, the Bhagavad Gita, the Bible, The Nag Hammadi Scriptures, Plato, Socrates, Gurdjieff, Rumi, Rudolf Steiner, Rene Guenon or any other teacher throughout human history has ever used the term or claimed the existence of “Ascended Masters”. If ascended masters existed and were important to the spiritual development of humanity, one would think that they would have been mentioned, at least a few times, over the past millennia. In fact, the concept of ascended masters was dreamed up in the 1930s by a prolific con man, with fascist leanings, named Guy Ballard. Guy Ballard believed he was the reincarnation of George Washington and began creating his cult based on the premise that he was in contact with an entity he referred to as, “Saint Germain, the Ascended Master”. Ballard created the concept of ascension and used it to lure members into his cult with the hope of leaving their unhappy, heavy human existence behind and becoming god-like. To ascend one only needed to be kind, “work on oneself” (but follow the rules of the cult) and believe. Like all traps, the cult sprinkled truths in with half-truths to cover the lies and preyed on the gullible, those with no true esoteric training or properly developed intellectual capacity. To be absolutely clear, the concept of Ascended Master Teachings as espoused by Guy Ballard as well as the “Path of Initiation” taught by Alice Bailey and CW Leadbeater, the corrupters of Blavatsky’s original, theosophical teachings (although partially flawed as well), are completely contradictory to the the teachings of every spiritual teacher mentioned in the second paragraph of this essay. Spiritual development requires ongoing effort. It’s an artisanal work of creation and refinement. Beliefs, inasmuch as they’re convictions, have very little to do with it. If anything, the less you believe the more you grow. But examination of our belief system requires work and clear thinking. Lucid examination of concepts and their implications combined with a healthy dose of skepticism are two of the most important traits a seeker can develop at the beginning of his or her journey. Self-transformation and mastery takes years at the least and multiple lifetimes at the most. Humans have an almost innate tendency towards fantasy. Our ability to imagine is a wonderful tool when used correctly but most will never learn this skill or even attempt to. Imagination combined with a lack of willingness to work towards spiritual attainment makes one prone to fantasy. Believing in ascended masters, ascension, extra-terrestrial baddies and their Pleiadian counterparts is so much easier, especially when there is no shortage of other believers to support the delusion. The aforementioned “Star Rishis” that Blavatsky named is an influence that opposes and distorts the teachings of the genuine, living teachers that have, for thousands of years, taught humanity the universal principals necessary for actual attainment. Blavatsky was saying that those who chose fantasy over reality and easy belief over practice and self-mastery, will find themselves under the influence of these other entities (the Saptarishis). William Quan Judge wrote that “The Saptarishis, as meant by Blatvasky, are in a “very advanced class of elemental spirits, able sometimes to communicate with man, and by their apparent knowledge to make him suppose them to be high spiritual beings.” In other words, they’re liars. These “Star Rishis” usually adopt grand identities, giving themselves lofty titles like “arch angel so-and-so” or using the name of constellations (Sirians, Pleiadian) etc. Their game is distraction and deception. They love to spin narratives because they understand that humans respond to storytelling and that many humans prefer heroes, nemeses and fantastical beasts over the reality of self-examination and continual work. Most seekers living in this modern age, will at one point, encounter the seemingly endless supply of narratives, characters and teachings espoused by New Agers. It’s murky waters because the New Age movement is not centralized or organized. Like a virus it has spread out and mutated depending on the current world view and overall health of the host. It can be very difficult to sort the fiction from the fact. People quickly adopt whatever beliefs mirror their current inner state; most often a state of unprocessed pain and ego. Never underestimate the need to belong, be loved and “protected”. Very few (if any) of them had undertaken the study of existing philosophical and spiritual texts available to mankind written before the New Age movement began. Neither had they taken up a sincere practice of self mastery and development. They accept concepts without ever researching where the concept or idea originated. All of them believed they were special somehow. Not like the rest of humanity and yet were full of insecurities and fears. They also followed channelers and the UFO movement, readily drinking up the “Extra-Terrestial-Reptilian-Pleiadian-Area 51″ Kool-Aid without once considering other possibilities. The ancients and not-so-ancients used storytelling as allegory, a way of expressing concepts that could be difficult for the human mind to conceive. And while there is sufficient, experiential evidence that the universe is full of beings at multiple levels of existence, attempting to label and categorize them as “light” or “dark” is a trap. Beliefs will become fantastical and distort thinking. This is perhaps why Rudolf Steiner rightly encouraged his students to develop their moral and rational faculties before pursuing spiritual sight. The New Age is a maze. A maze of never ending stories and misleading, whimsical concepts. It’s a parasite that has embedded itself in streams of genuine mystic and esoteric teachings. If you find yourself lost in this maze there is one solution; Exit. The New Age movement began in the second half of the 20th century and much of what has been written in the mainstream about spirituality in modern times is suspect. Of course, there are a few, true gems like Alan Watts and Krishnamurti but even Theosophy, already flawed in some ways from its inception, was hijacked and thoroughly corrupted after Alice Bailey and her ilk began to influence the organization. If you’re looking for sincere guidance in your quest for self-transformation, there is no shortage of material written before agents of empire created the New Age psyop. Whether you choose books or a school just know that; You won’t hear of mass ascension, starseeds, crystal-diamond-rainbow children, Metatron or Ashtar. There will never be a savior-race to rescue humanity (we can do that ourselves) or guardian angels speaking through channels. The teachers are our fellow human beings who either live or have lived right here on earth with the rest of us. They teach the importance of lucid examination, moral development, mastery of thought, emotion and behavior. Fantasy and fits of non-creative imagination are to be avoided at all cost. The student is reminded again and again to stay in the present. These things alone can take years to master. Do we need non-human teachers to call us “Dear Ones” from their home across the galaxy? Is that empowering to humanity? Is it useful to fancy oneself as an ‘advanced soul’ or somehow ‘special’ because your “spiritually minded and awake” and then, because of this belief, neglect true esoteric practice? Wouldn’t be a shame to discover our folly only after we die? Ironically, the distraction and deception of the New Age serves as a great tool for the refinement of our perception. The initiate’s task is to see through it, to drop the narrative and lose the fantastic beasts. Era Denmark is an autodidact, philosopher and writer whose personal journey and public engagement embraces philosophy and esoterism; not as an end in itself but as an individualized path towards self mastery. Era is a citizen of the world, is trilingual (French, German, English) and resides in Europe. Visit the blog, http://era-denmark.org. Author’s Note: The author has studied Blatvasky’s life, work and the Theosophical system (as part of a expansive syllabus of self-study) but is not an adherent of Theosophy or any other system, specific philosophy or organization.